Minister for Finance Michael Noonan said that 31 oil laundries were detected and closed down. A TOTAL OF 137 filling stations around the country have been closed for breaches of licensing conditions since mid-2011. According to the Minister for Finance Michael Noonan, over three million litres of fuel were seized and 31 oil laundries were detected and closed down in just over three years. He said there has been a reduction in incidences of laundered fuel on the market and road diesel consumption. However, Noonan said that tax revenues are up 13% compared to a couple of years ago. Noonan said that other economic factors have contributed to this growth but reduced fraud is an important factor. “It has been suggested on a number of occasions that the current system of marking lower taxed fuels should be replaced by one based on repayments to the users. However, a change of this nature would impact on a wide range of users, would be costly to implement and would, itself, be at risk from fraud,” he added. Noonan added that a change to a rebate system would involve the establishment of an expensive and wide-ranging repayments system and would place a new administrative burden on oil traders, on the large number of users and the Revenue Commissioners. He said it would also impose significant cash-flow costs on those currently using marked gas oil. Repayment schemes are vulnerable to abuse, he said, adding that the introduction of a wide-ranging repayment scheme would not offer greater security against fraud than the current arrangements. For these reasons, and in light of the progress made by Revenue in tackling the problem, I am satisfied that the strategy being implemented by Revenue is the best course of action. I am also confident that the introduction of the new marker here and in the United Kingdom from the end of March will reinforce the measures already implemented. Fine Gael Brendan Griffin (Kerry South) asked Noonan if he will review the current green diesel system, which provides enormous business potential for launderers, but Noonan said he was happy the Revenue Commissioners’ strategy to deal with fuel laundering “was the best course of action”. Outlining the strategies, Noonan said a licensing regime for auto fuel traders was strengthened in September 2011 to limit the ability of criminals to get laundered fuel onto the market and a new licensing regime was introduced for marked fuel traders in October 2012, which is designed to limit the ability of criminals to source marked fuel for laundering. He said there was better records kept now on stock movements and fuel deliveries and following a significant investment in the required IT systems, a new supply chain reporting regime was introduced from January 2013. This requires all fuel traders to make monthly electronic returns to Revenue of their fuel transactions. Revenue is using this data to identify suspicious or anomalous transactions and patterns of distribution for investigation. 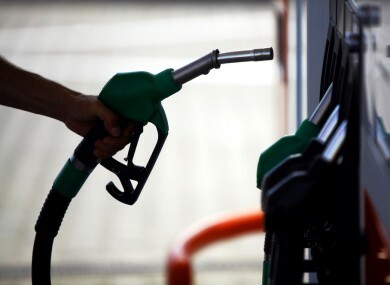 Noonan said that they were working with customs in the United Kingdom, and a new, more effective fuel marker had been identified and will be implemented in the two jurisdictions from the end of March next. Email “More than 137 filling stations shut down over licensing breaches since 2011 ”. Feedback on “More than 137 filling stations shut down over licensing breaches since 2011 ”.